WHAT tests should I take and what is covered? To become NATE-certified, you must pass both the CORE exam and a SPECIALTY exam of your choice. The specialty certification will be in either INSTALLATION or SERVICE. The CORE test covers a candidate's general knowledge, construction knowledge and HVAC/R specific knowledge. SPECIALTY exams cover a candidate's knowledge of the installation, service maintenance and/or repair of HVAC/R systems. WHO can take NATE certification exams? Anyone interested in obtaining NATE certification may take the tests. HOW long does NATE certification last? Most certifications last 5 years. 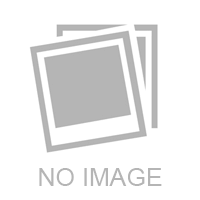 However, GSHP Loop installer certification lasts 3 years. HOW does American Standard and SHEARER SUPPLY support my participation in NATE? 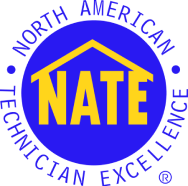 To encourage Customer Care dealers to hire NATE certified technicians or to get existing technicians certified, CC dealers will be reimbursed $400 for one NATE certified technician per year. Certifications cannot be used more than once, even in other program periods. American Standard also reimburses 50% of the cost of the NATE test for up to 3 technicians per CC dealer. American Standard will co-op the cost of the core module and one specialty module, provided the technician passes both parts of the test. SHEARER SUPPLY is now requesting trainers to submit their courses offered to dealers to NATE for NATE credit.